Documents can be signed electronically, through the certified DocuSign connector, as part of a workflow process. Externally-stored digital documents can be accessed from employee records and cases in Neocase, via hyperlinks to 3rd party storage systems. Neocase Connectors can automatically post documents to a 3rd party document storage system, upon case closure, or process completion. As a result, these organizations are reducing the money spent managing documents, increasing time available for higher-value work, and improving the experience of employees, managers and HR professionals involved in documentation processes. As a result, these organizations are reducing the dollars spent managing documents, increasing time available for higher-value work, and improving the experience of employees, managers and HR professionals involved in documentation processes. Industry Challenges driving the need for a solution. According to Microsoft, over 30 billion original documents are used each year in the United States. And the cost of documents to corporations is estimated to be as much as 15 percent of annual revenue. 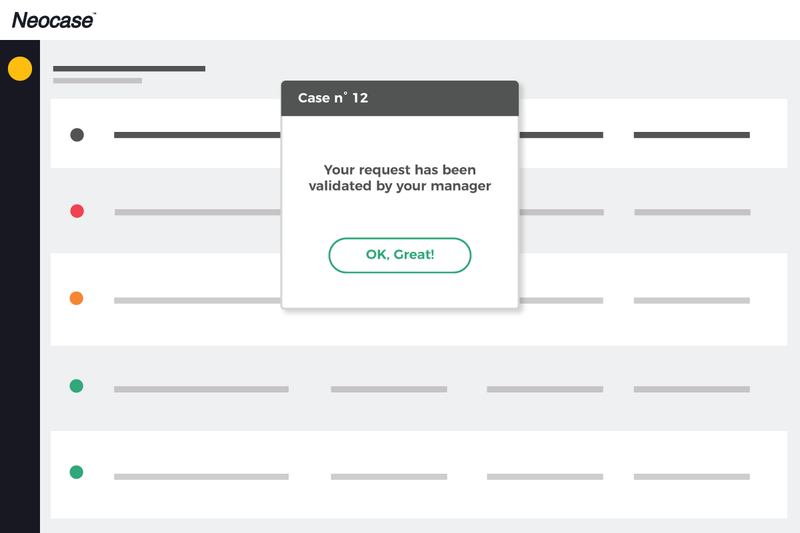 Personalized documents can be automatically created within a specific process, via configurable document templates and the Neocase Business Process Management (BPM) automation tools.